An apparatus and method for re-mixing size and weight segregated Hot Mix Asphalt (HMA) which is continually discharging from a windrow elevator. 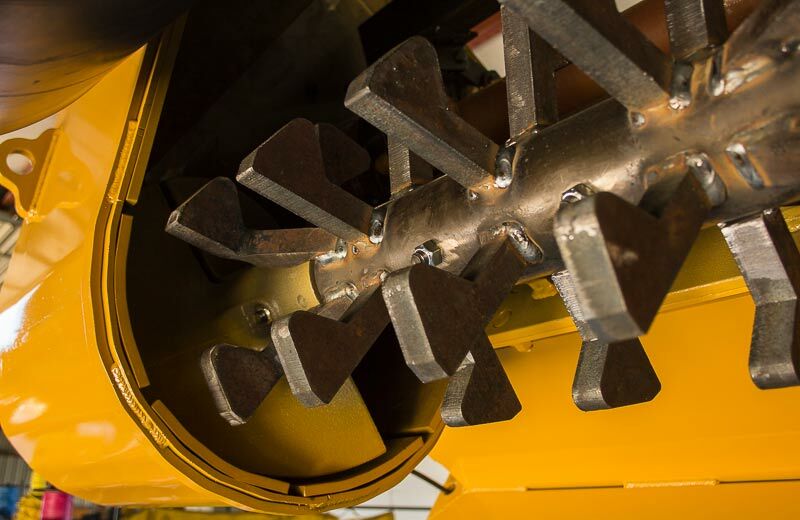 The auger assembly's 1st and 2nd helical auger sections are mounted to converging, opposite handedness. Their orientation advances incoming material inward, toward the mixing zone, adjacent and around an intermediate portion of the connecting shaft. 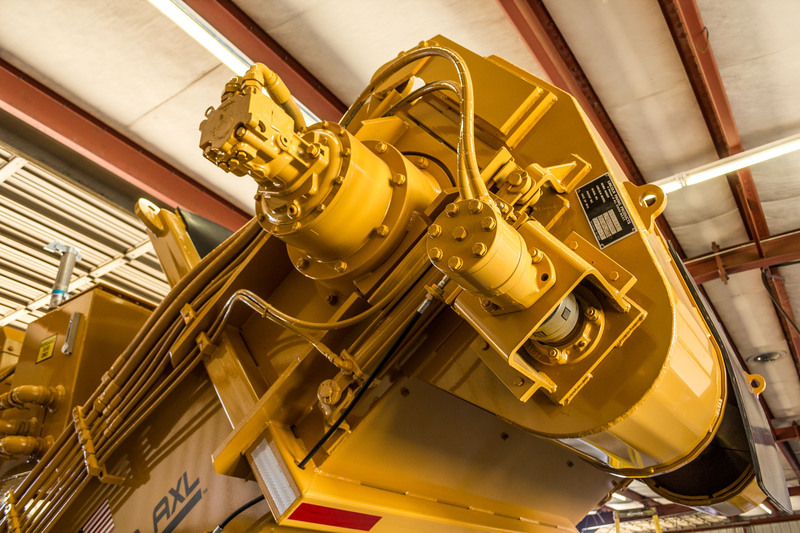 Drive devices rotate the assembly so large pieces of material are continuously advanced inwardly and commingled with small pieces of material delivered to the mixing zone. An auger and tine assembly having a common drive shaft for fragmenting and re-mixing agglomerated pieces of (HMA) or rubberized asphalt prior to applying to the road surface. 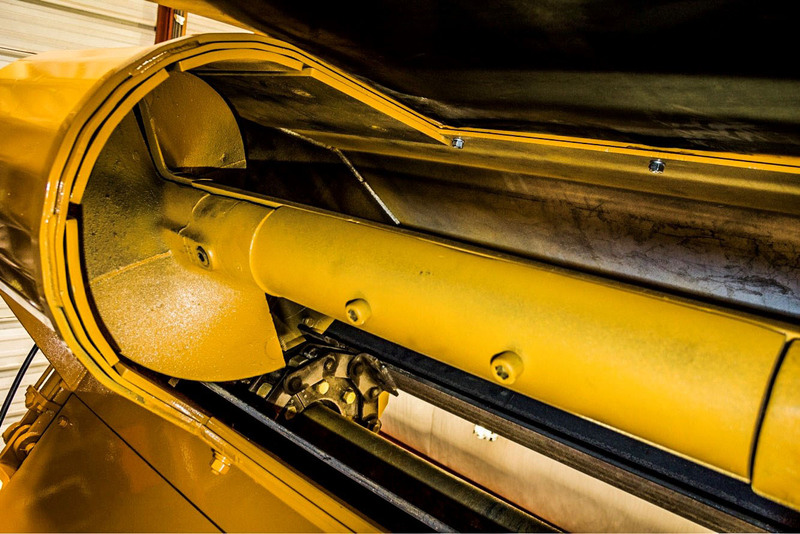 The entire drive shaft includes a rotating tine section, and a corresponding interdigitized fixed tine section positioned between our patented augers. Agglomerated pieces are fragmented and re-mixed with the other material as they pass through the apertures defined by the fixed and rotating sections achieving an acceptably homogeneous consistancyin the material readied for immediate use by the asphalt paving machine.